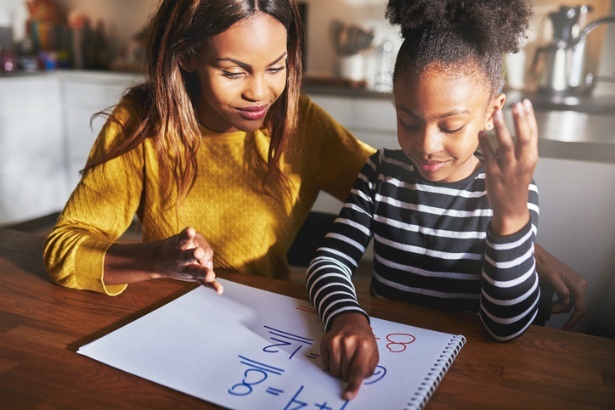 Maths isn't easily understood but the trick is to teach your child according to their learning style. Here's a fast way to teach your child the basics of fractions if they learn best visually. If you remember your school days and learning mathematics, you know how hard it is to understand. If not taught in a manner that speaks to a specific learning style, you might as well ask a child to translate a language they've never heard before. And when the time comes for your little one to start learning the more complicated concepts, like fractions, you almost feel sorry for them. If your little guy or girl is struggling with understanding fractions and how to add and subtract them, this video is just the thing. Has any mathematical concept been hard for your child to understand? What was it and how did you help them? Tell us by emailing to chatback@parent24.com and we could publish your letter. Do let us know if you'd like to stay anonymous. The idea is that for children who are visual learners, visual explanations work best. So, instead of explaining things verbally, grab their favourite snack and show them. 1. Start by setting out a piece of blank paper and a colour pen, which will be used to write out what you explain to your child in visual form. 2. Establish the common denominator. In the video, the number used is 6, so have your child count out six biscuits or sweets and set those out next to the piece of paper. Write the number down on the piece of paper after counting out the snacks. 2. Use a different snack as a divider. In the video a carrot is used but whatever you have that could work as a line, go for it. Draw the line on the piece of paper. 3. Establish the numerator. Now, choose a number between 1 and 6 and have your child count out the number in snacks – these should be placed above the line. To show them where the numerator is written, follow up the counting with writing the number on the page. 4. Now, using the visual system, help them to add and subtract numbers. This method will help them pick up a pattern, and hopefully be the foundation for picking up the more complicated concepts further down the line.